A conversation in the U.S. about Romania’s role in WW I is usually followed by a surprised “I didn’t know that.” This response first to the fact that there was indeed an ‘Eastern Front’ and then the fact that the nation suffered 535,000 casualties fighting on the Allied side. This amounted to almost 18% of the total male population* of Romania at the time. What happened instead was eventual victory for the Allies and both the defeat and dismemberment of the Austro-Hungarian Empire and final demise of Turkish power. Romania’s territorial gains were substantial including Transylvania, Bessarabia, and small portions of upper Bulgaria. 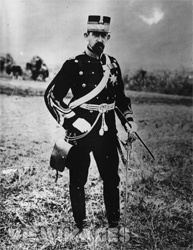 The events of the war deteriorated fast after false starts by the Romanian army (supported by substantial divisions from Tsarist Russia). 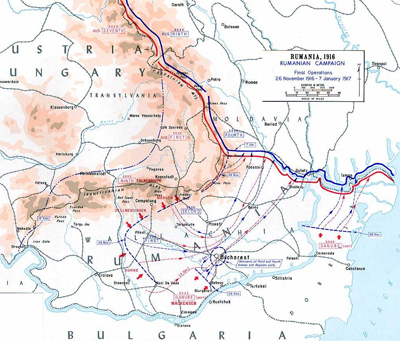 An attempt to cross the Danube River in the first months of the war to halt German, Bulgaria and Turkish military movement failed. After initial successes, so did major attempts to cross the Carpathian Mountains and push Austro-Hungarian armies westward. 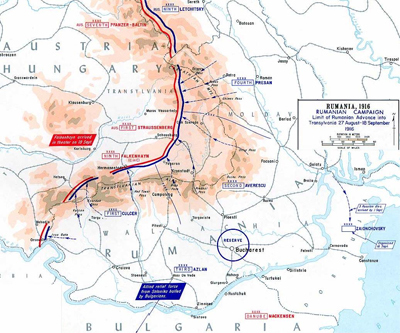 What soon followed were major movements from German-led armies from the south (350,000 strong) and from the west (also 350,000 strong) crossing over the Carpathians into Wallachia. 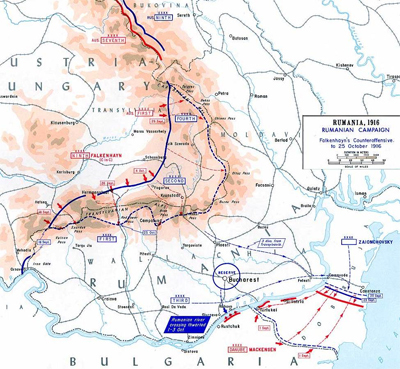 Under such pressure, Romanian and Russian armies retreated northward into Moldavia. Bucharest was abandoned and the King and Government established themselves in Moldavia’s capital city, Iasi. 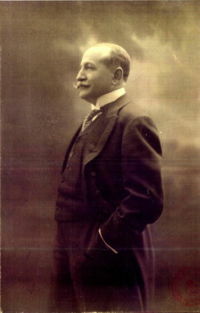 Romanian gold stocks were sent for safety into Tsarist Russia. Reclaimed but never returned, this remained a contentious issue with the Soviet Union and to this day with Russia. But the Russian Revolution in October of 1917 undermined these successes when Russian troops quickly and chaotically abandoned their positions. An armistice was called between Romania and Germany and troops were demilitarized though King Ferdinand refused to sign Treaty terms Germany tried to impose on Romania. French armies would eventually cross the Danube and enter Bucharest in November of 1918 hours after German troops abandoned the city. The King returned on November 30th. King Ferdinand and Queen Marie who is credited with influencing her husband to side with the Allies in WW I. She lobbied Romanian interests during the Peace process.